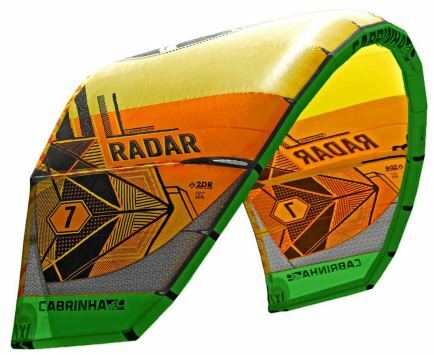 The Radar is a new Cabrinha design. 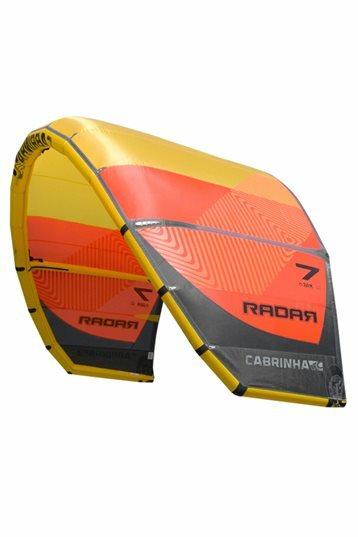 This kite is built to make Kitesurfing a bit easier. Expect good starter characteristics like great relaunch, stability and soft power. Don't expect too much performance for the advanced riders. Maybe the wave riders who like a park and ride kind of surfing like to test the new Radar. However, like most of the new kite models, we think this kite needs some tuning like a bit faster steering response and a better slack line control. 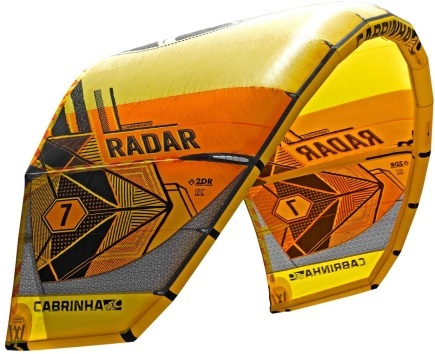 This would help the new Radar to perform better in the all-round kitesurfing category. 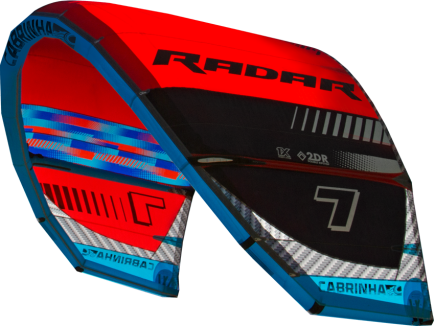 Looking for more allround performance in a kite? 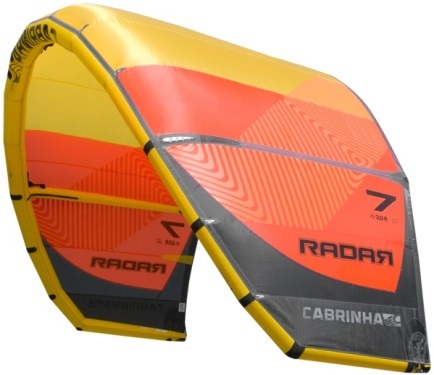 We tested the Cabrinha Switchblade for you, this would be a great option. New safety system with a easy quick release. Good and direct depower, only in its high-end less depower. The new Cabrinha Radar 9m is about park and ride. Good drift with a slow turning circle & steering reaction. Came from a smaller kite and had the feeling I had a old Wipika Classic in my hand, but there is a good thing about this new Radar. It's simple to control if you don't like playing and steer, just ride with your kite parked on one position. The first impression of this compact kite is proven to be correct. Cabrinha wanted to make a kite accessible for everyone. The kite felt very stable from the beginning, and it was impossible to pull it out of its windwindow. On the water you can park and ride the Radar, just like the manufacturer wanted it to be. The kite will not surprise you at any time. If I do need to add some comment than I need to say its turning circle is quitte big and rather slow because its turning point lies in the centre of the kite. The power is being build up gradually in the loop, but most power is generated at the last phase of the loop. It responded a bit slow to steering input. But at the same time drifted great while surfing down the line with no hands on the bar. All and all, a very stable kite with good feedback on the bar, for those who don't want a quick steering machine but a park and ride model. 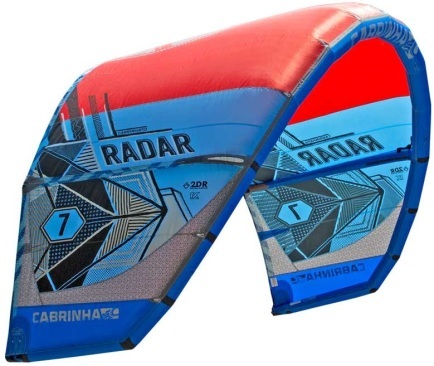 Works great for allround kiters and gives you the confidence you need while learning new stuff.